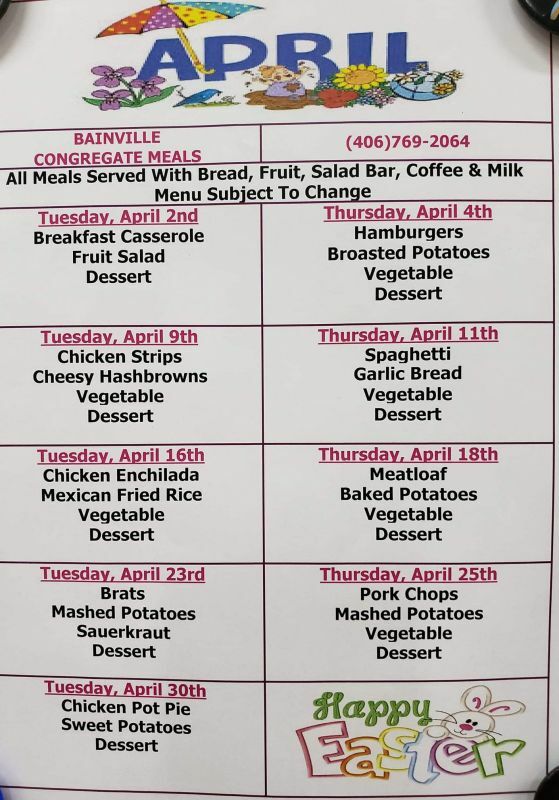 The Town of Bainville Senior Center provides services and information for the seniors in our community. Opportunities abound for leisure and recreational activities, as well as a place of fellowship and understanding. Dynamically enhancing the physical and social well-being of our seniors, the center offers programs which promote independence and interaction. The Senior Congregate meals are Tuesday and Thursday's of each month at 12:00 PM. The price of a meal is $4.00 for people who are 60 and over and $9.00 for people under 60.